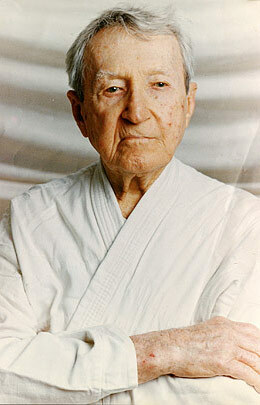 But more than the Brazilian Jiu Jitsu, Carlos Gracie was also known for his nutritional regimen called the Gracie Diet. Based on the Hippocratean Maxim, “Let your food be your remedy”, he founded a system that would primarily prevent illness on days of competition. Gracie Diet’s basic principle is keep the pH level of the blood neutral by consuming only compatible nutrients at each meal. Though it is flexible, the Gracie Diet prohibits pork consumption and its derivatives. More over, it adopts abstinence from alcohol and tobacco. The founder of Braziian Jiu Jitsu and the man behind Gracie Diet, Carlos Gracie, died on October 7, 1994 at the age of 92.
first time i’ve heard of the Gracie diet I guess it didn’t get very popular.